Once every 15 minutes, the crowd would inch forward. We started to wonder if we’d ever make it to the front. Then my phone rang and it was my parents — in the time we’d been waiting in line, they’d managed to drive across an entire state to get to us. They came in to the coliseum and found us. It’s awkward to see your parents for the first time in a couple months while sleepily waiting on a concrete floor for football tickets. She had a valid point. So we packed up our pillows and we walked out into the sunshine to spend our time doing anything else but continuing to wait in line. I was joking with friends lately about the lines that form in front of Portland’s favorite restaurants. 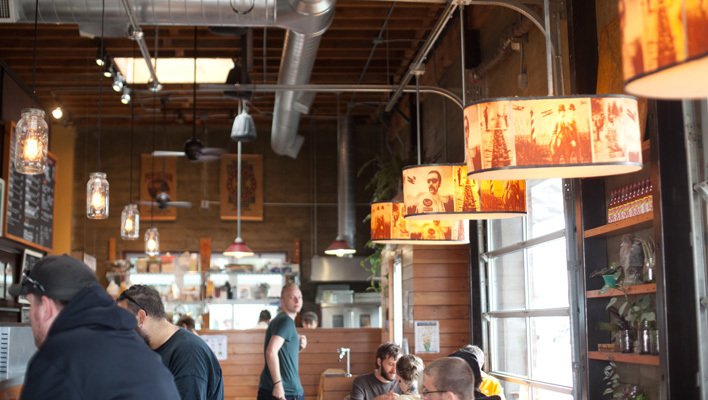 In a city with so much great food, it seems weird that we’d be willing to wait an hour for brunch, but we seem to be a committed (and loyal) bunch. 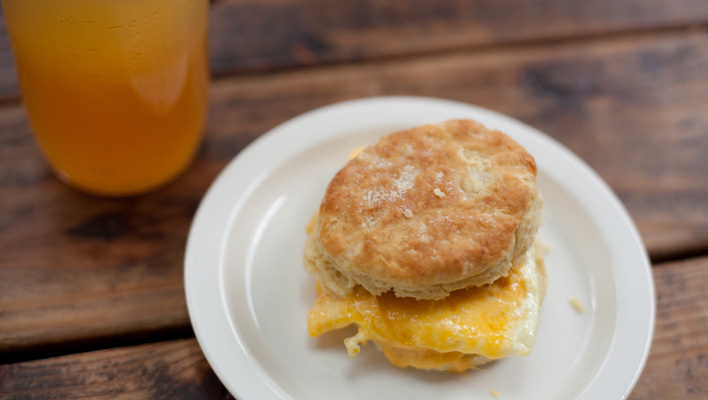 Pine State Biscuits is one of the restaurants with a perpetual line out the door. The line is there for good reason, though. The biscuits are insane. They’re fresh, melty, not-too-crumbly goodness and you can order them with gravy, with egg and cheese, with fried chicken or about a thousand other ways. The smell is what draws you in and convinces you to wait around for awhile in a long line out the door. But once you place your order, the service is snappy and you can enjoy the side patio picnic tables and savor your large, cold Arnold Palmer while your biscuit cooks. 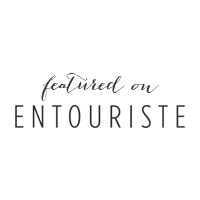 The line is intimidating at certain times, but if you go for a late lunch or during work hours Monday-Friday, your wait won’t be too painful. Good things come to those who wait! 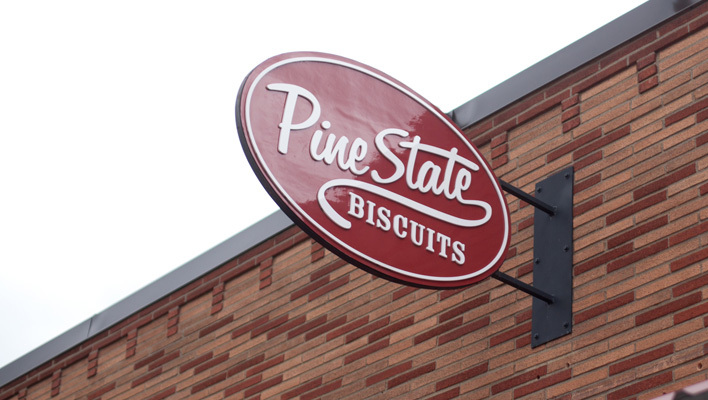 Pine State Biscuits‘ main shop is located at 2204 NE Alberta in the Alberta Arts District. A second location near SE 11th & Division is coming soon, and you can also get Pine State at the Portland Farmers Market on the PSU campus on Saturdays through November.